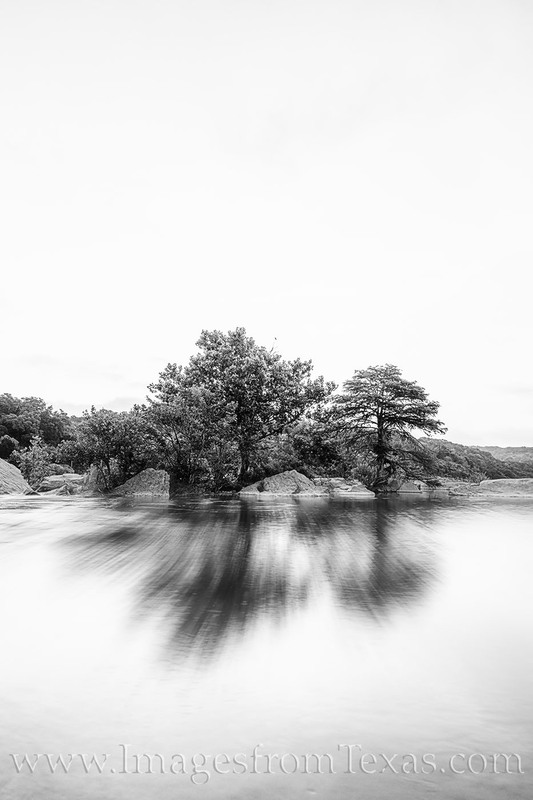 A quiet morning on the Pedernales River lends itself to some experimental photography. With the sky brightening and the winds calm, I used this opportunity to try a black and white still of the river as it flowed by a couple of old cottonwood and cypress trees. Photo © copyright by Rob Greebon.